CAAM Interviews Golden Slumbers Director Davy Chou! 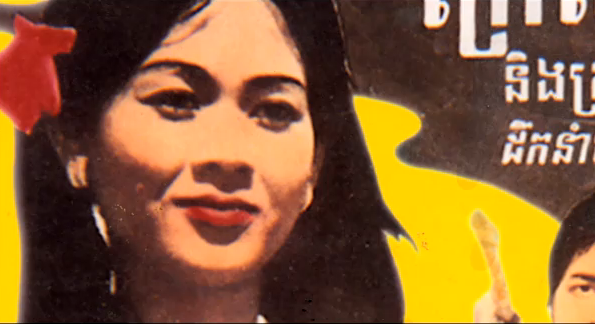 “Golden Slumbers” is the story of Cambodia’s Golden Age of cinema, and the destruction of it by the Khmer Rouge. The director, Davy Chou is the grandson of Van Chann, a famous Khmer film producer of the 1960s and ’70s. Unfortunately, due to the Pol Pot regime, theaters were burned to the ground while performers and movie workers were targeted and executed. Through his film Golden Slumbers, Davy hopes to raise the importance of preserving and digitalizing these films to reclaim Cambodia’s past. SF International Film Festival page on Golden Slumbers: “Over three million Cambodians died in the genocide between 1975 and 1979. The Khmer Rouge’s reign of terror also decimated a homegrown film industry that had flourished since 1960: movie theaters were bombed, film prints were destroyed and artists were executed. In Golden Slumbers, French-Cambodian filmmaker Davy Chou mourns this loss of lives and culture, but balances the somber material with a playfulness that honors the lush melodramas and mythic adventures of the glory years. Chou’s documentary is a séance of sorts, summoning the spirits of films past and finding remnants in the present through the reminiscences of surviving filmmakers and actors and, poignantly, through song. Asia Literary Review: IN THE DOCUMENTARY film Le sommeil d’or (Golden Slumbers), an elegant gentleman in his sixties sits on the edge of a bed. He is wearing a grey shirt with pale yellow flowers and speaking to his children. The man, Yvon Hem, is trying to describe a part of his life from decades earlier, when he was a filmmaker in Cambodia. The movies he made no longer physically exist, and the actors, assistants and technicians are gone.